On December 30, 2013, the US Treasury Department (the “IRS”) published a package of proposed, temporary, and final regulations relating to Passive Foreign Investment Companies (“PFICs”) and their shareholders. The most significant component of the package is its guidance on the new annual filing requirements for PFIC shareholders, but the package also includes other, generally minor, changes to existing rules governing PFICs and their shareholders. The IRS issued the regulations just in time to meet a self-imposed year-end deadline: the IRS wanted the new reporting rules to become effective before 2013 ended so that the new reporting rules would apply during the next filing season. Still, the package includes good news for some PFIC shareholders since the new regulations eliminate a retroactive filing requirement for 2011 and 2012 taxable years that had been threatened in a 2011 IRS notice. The new regulations address in a limited way a package of technical PFIC regulations originally proposed by the IRS in 1992. Because the new package includes, in a modified form, a small portion of the 1992 proposed regulations, the new package withdraws that portion of the 1992 proposed regulations. The remaining (and outstanding) portion of the 1992 proposed regulations includes provisions that have been severely criticized. So, US investors and tax practitioners must await further IRS action to clarify the status of those proposed provisions and the interpretation of the applicable statutory rules. On May 6, 2013, as anticipated when the Senate recessed last week, the US Senate passed the Marketplace Fairness Act of 2013 (S. 743). The bill’s passage was the culmination of a flurry of action by the Senate in recent weeks, including an April 25th procedural vote that ended debate on the bill and sent the bill to the floor of the Senate which passed the bill by an overwhelming majority. 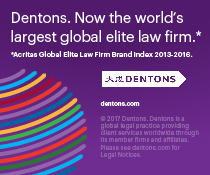 Sander Lurie and John R. Russell IV, members of Dentons’ Public Policy and Regulation practice, co-authored this article. On January 30, 2013, the US Treasury Department (IRS) proposed amendments to existing gain recognition agreement (“GRA”) regulations that apply to US persons who transfer stock of a US corporation or a foreign corporation to a foreign corporation. The proposed changes to the GRA regulations address the consequences to US persons for failing to file GRAs and related documents (failure to file), to comply in any material respect with the terms of, or rules governing, GRAs (failure to comply), or to satisfy other reporting obligations. The proposed changes would affect not only future reorganizations and contributions of stock to foreign corporations, but also prior transfers that continue to be subject to GRA reporting. 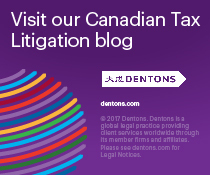 The proposed changes also provide similar failure to comply rules with respect to liquidating distributions to foreign corporations and certain other document filing requirements arising with a US person’s transfer of stock or assets to certain foreign corporations. 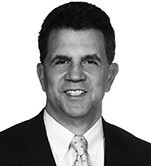 On June 7, 2012, the US Treasury Department (the “IRS”) issued new regulations interpreting the US tax rules that apply to “expatriated entities.” An expatriated entity, sometimes referred to as an “inverted company,” is a US company (usually the parent company of a group of US and foreign affiliates) that seeks to become a lower-taxed foreign company rather than a higher-taxed US company. In 2009, the IRS issued temporary regulations that were scheduled to expire on June 8, 2012 (the “2009 temporary regulations”), and the regulations released on June 7 were issued shortly before the 2009 temporary regulations lapsed.